Since making their engagement Instagram official, ABC’s Bachelor couple Nick Viall and Vanessa Grimaldi continue to win each other over. This weekend the duo made a visit to Nick’s hometown to see the Milwaukee Bucks play at the BMO Harris Bradley Center in Wisconsin. 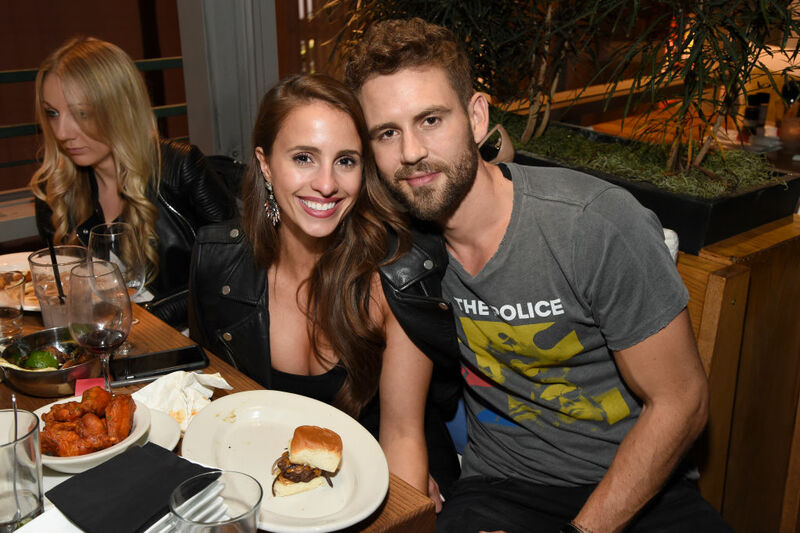 Despite taking a break from Viall’s prep for Dancing with the Stars, the two promoted a “Night with Nick Viall,” a meet and greet event. The couple is no stranger to the limelight, that’s for sure! In an Instagram post Grimaldi shared how happy she was. "She wrote, "[it's] good to finally be back with my man in his hometown." Nick’s team won the game, making the night all that more enjoyable for the couple. He even made time to practice his dancing, according to Vanessa’s story on Instagram. They really want the relationship to succeed. So they’re doing what it takes to put in the work. Here’s to hoping we see more happy date night selfies soon!